Winner of the 'Best Hotel Spa - Europe 2013', the Caudalie Vinothérapie® Spa at The Yeatman is an oasis of serenity and wellbeing. 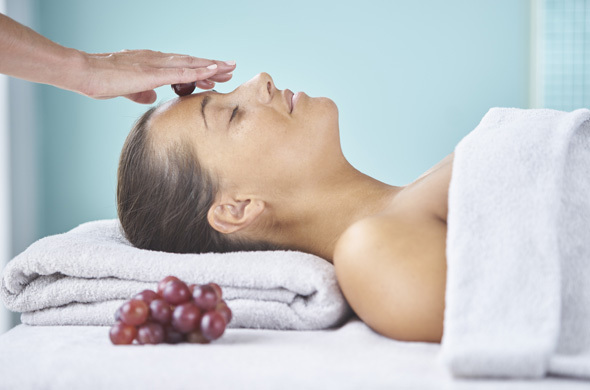 Its tranquil setting, evocative of the elemental spirit of wine, includes ten therapy rooms where guests can relax and enjoy Caudalie’s unique Vinothérapie® care and treatment programmes, including barrel bath immersions, relaxing Vichy shower massage and other signature body and facial treatments. Based on natural ingredients drawn from the vineyard environment and valued for their anti-oxidant properties and contribution to beauty, wellness and vitality, the exclusive range of Caudalie products are also available for purchase. Caudalie’s latest Vinothérapie® Spa is in harmony with The Yeatman’s vocation as a leading wine hotel where the culture and pleasures of the vine can be enjoyed in all their aspects. Within the spa area The Yeatman offers a choice of wellbeing and relaxation facilities including a Roman bath, hammam, shower experience and sauna as well as a relaxation area enjoying stunning panoramic views. These have direct access to The Yeatman’s indoor panoramic infinity pool. 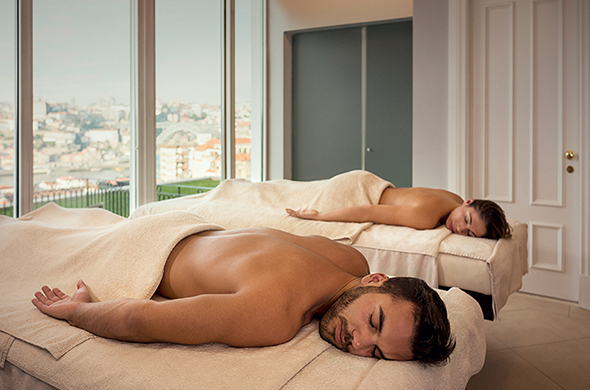 A restful haven set in The Yeatman’s extensive grounds and enjoying spectacular views, the Spa is within easy reach of most areas of the city and offers stress-free indoor parking with covered access. After checking our Massages and Treatments, you may book here.